Going Paleo or low-carb but want a twist? Asian Paleo will satisfy your cravings! Creator of the popular food blog I Heart Umami , ChihYu Smith celebrates her Chinese and Taiwanese heritage and turns favorite Asian recipes into healthy, flavorful Paleo meals. 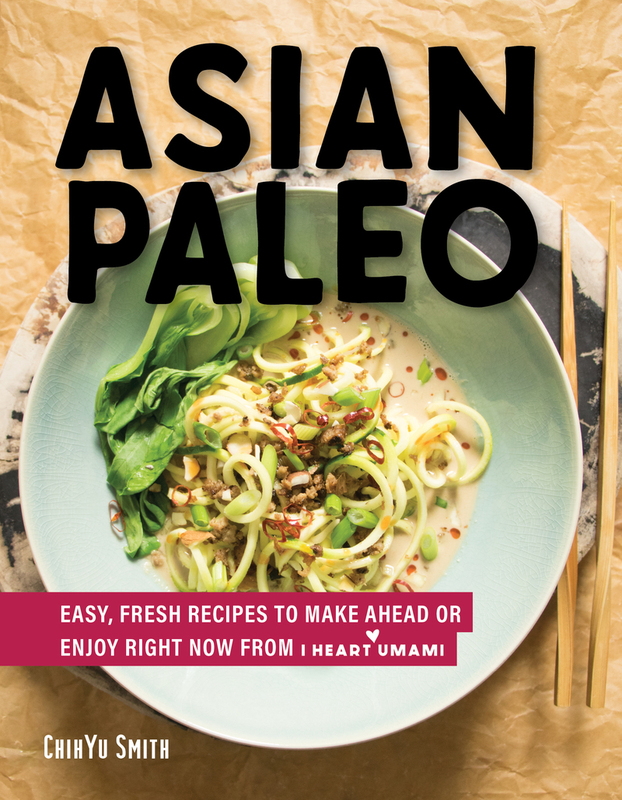 In Asian Paleo , she shares 75 fresh, bold recipes inspired by her favorite dishes from China, Japan, Thailand, Vietnam, and beyond. Here, Smith helps readers find the perfect dish for any occasion. She includes easy meals, fun and festive weekend options, batch cooking for when there’s time to plan, and sides and sauces. You’ll want to try them all, from Low-Carb Chinese Scallion Pancakes and Brisket Pho to takeout classics like Sweet-and-Sour Chicken, Kung Pao Chicken, and sizzling hot Pepper Steak stir-fry. Each dish is free of gluten, wheat, soy, and sugar. With a meal prep section with shopping lists and make-ahead instructions, clever tips and tricks, and vibrant photographs for every recipe, Smith makes healthy Asian cooking totally, deliciously Paleo. ChihYu Smith is the creator of the blog I Heart Umami, where she shares Asian-inspired Paleo, Whole30, and Keto recipes, and the creator of Cook Once Eat All Week, a Paleo meal planning program. She is a Whole30 Certified Coach and has been named International Paleo Blogger of the Year by the UK Paleo Awards. Her recipes have been featured by Huffington Post, Good Housekeeping, Country Living, Chowhound, and Greatist, and two of her recipes appear in The Whole30 Fast and Easy Cookbook. A graduate of Columbia University Teachers’ College, she lives with her husband and two dogs in Brooklyn, New York.